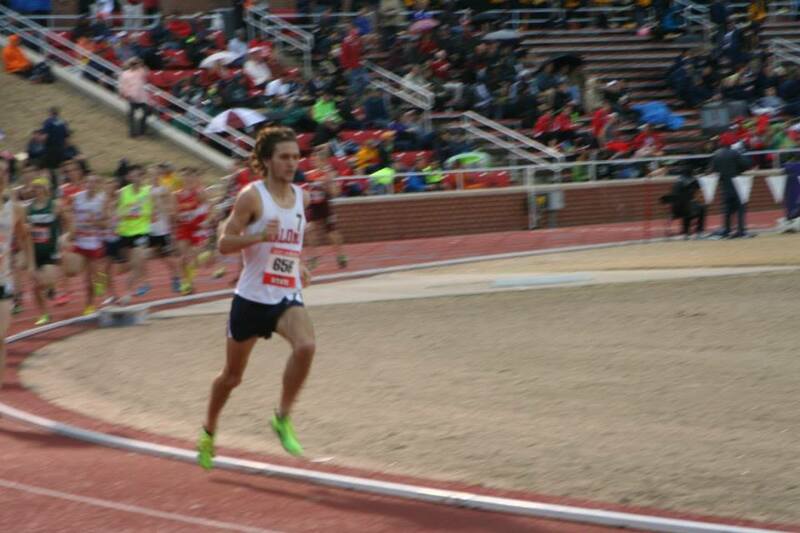 Pedigree: This week’s Pioneer Focus goes to junior mid-distance runner Scott Whitaker for his efforts at the Bucknell Univeristy Invitational Saturday, April 12. Whitaker participated in the 1500-meter race, crossing the finish line in an impressive 3:50:28. The time was a personal best for Whitaker and was also a NCAA Division II provisional mark for the 2014 NCAA Division II Outdoor Track and Field Championship. Q: What is your favorite spring activity (besides running)? Q: How did you get started in track and field? A: In elementary school, my friends and I would see who could jump over the highest hurdles while waiting for our older brothers to race. After doing this so many times, I decided to race in middle school doing the 110 hurdles. Q: Any other sports you participated in? A: I competed for my high school soccer team all four years. We didn’t have enough people in my school to find seven guys who liked running long distance, so I did soccer instead of cross-country. I love the sport. Q: Something you do not miss about high school? A: Class from 8 a.m. to 3 p.m. I love my naps and free time before class in college. Q: How do you feel about the idea of “ring by spring”? A: Well I am not sure what time of the year Frodo received the ring from Bilbo, but it was probably in the spring. With that being said, I am glad this phrase exists; otherwise, Sauron could be ruling Middle Earth this moment. Q: If you could pick one actor to play you in a movie, who would it be, and why? A: I would have Bradley Cooper play me in a movie, because I think he is one of the few actors that could pull off my hairstyle. Q: If you were stranded on an island and you were only allowed three items, what would they be and why? A: I would definitely take a fire starter, a heavy-duty survival knife and a volleyball. I think with those three items I could survive as long as needed. The volleyball is, of course, to keep me company. Q: Favorite aspect of track and field? A: I simply love racing, and I love being able to push myself to new limits with each new race. Q: What teammate do you admire, and why? A: I admire Mitch Williams because he taught me so much about the 1500 and just how to not race stupidly, and for that, I am grateful. Q: What legacy would you want to leave Malone after graduating? A: I would want to leave a legacy of dedication. While I attend this school, I would want it to be known that I was dedicated to my team, my friends, my coaches and my schoolwork. I won’t give up until the job is done, whatever that job may be. Tina Oprean is the sports editor of The Aviso AVW.